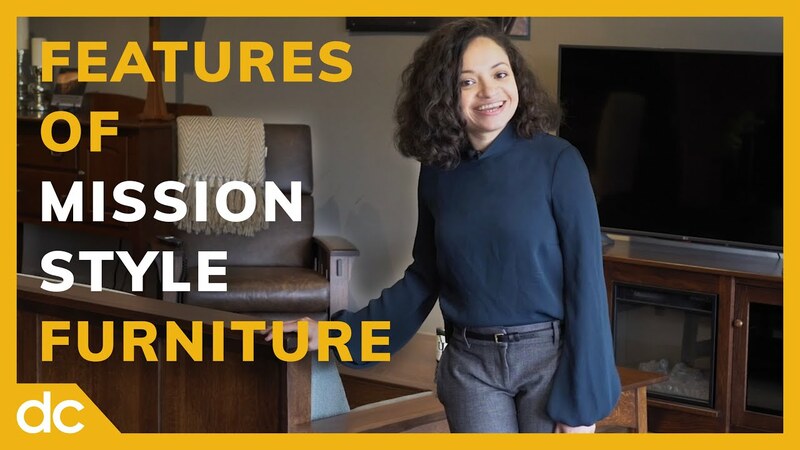 Mission style living room furniture is defined by several unique features, and in this video Milca from DutchCrafters shows off all of these features on the Amish McCoy Mission Living Room Furniture set. Amish living room furniture, if not Mission style furniture, is often Shaker style furniture, Rustic furniture, or Country style furniture. DutchCrafters is an expert in Amish furniture with over 15 years of experience. With this video Inside DutchCrafters, our living room category manager, Milca, shares our expertise with you. And so much more! See it all at the Arts and Crafts Furniture Collection. When you visit our store and experience the quality for yourself, you also get a chance to work with a furniture specialist in store to come up with the perfect design for your home.